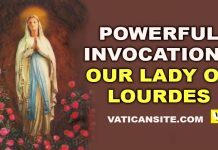 REMEMBER, O most gracious Virgin Mary, that never was it known that anyone who fled to thy protection, implored thy help, or sought thy intercession was left unaided by thee. Inspired with this confidence, I fly to thee, Mary, Virgin of virgins, Mother of Jesus Christ; to thee do I come; before thee I stand, sinful, sorrowful and trembling. 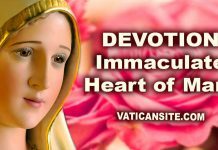 O Mistress of the World and Mother of the Word Incarnate, despise not my petitions, but in thy mercy hear and answer wretched me crying to thee in this vale of tears. Be near me, I beseech thee, in all my necessities, now and always, and especially at the hour of my death. O clement, o loving, o sweet Virgin Mary. Amen. Our Lady suddenly appeared to Alphonse Ratisbonne in the Basilica of St. Andrea delle Fratte. It was January 20, 1842. 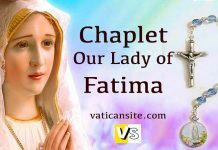 Standing over the altar, Our Lady appeared wearing a crown and a simple long white tunic with a jeweled belt around her waist and blue-green mantle draped over her left shoulder. She gazed at him affably; her hands were open spreading rays of graces. Her bearing was quite regal, not just because of the crown she was wearing. Rather, her height and elegance gave the impression of a great lady, fully conscious of her own dignity. She transmitted both grandeur and mercy in an atmosphere of great peace. 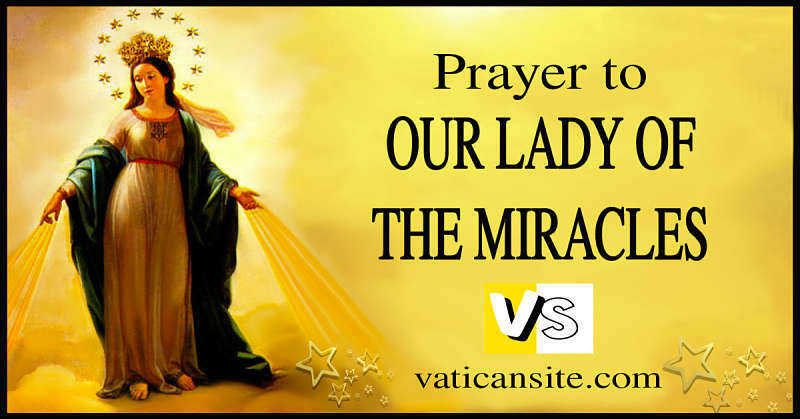 She had some of the characteristics of Our Lady of Graces. Alphonse Ratisbonne saw this figure and understood that he was before an apparition of the Mother of God. He knelt down before her and converted. Returning from the sacristy, the Baron was surprised to see the Jew fervently praying on his knees before the altar of St. Michael the Archangel. He helped his friend to his feet, and Ratisbonne immediately asked to go to a confessor so he could receive Baptism. Eleven days later, on January 31, he received Baptism, Confirmation and his First Communion from the hands of Cardinal Patrizi, the Vicar of the Pope. His conversion had enormous repercussions over all Christendom. The entire Catholic world became aware of it and was impressed by it. Afterward, Ratisbonne became a Jesuit priest. Ten years later, he and his brother Theodore, who also had converted from Judaism, founded a religious congregation – the Congregation of Sion – turned to the conversion of the Jews.